Ayurveda to optimise your own health and wellbeing. Ayurveda, a sister science to yoga, is a 6,000 year old therapeutic system that helps to maintain the health of body, mind and spirit. There is a huge global resurgence of interest in Ayurveda. In our busy world it‘s easy to lose connection with natural rhythms. Our working day now flows into the night as electronic devices stay on late and we travel across time zones. Ayurveda provides the tools to help us manage our turbulent lifestyles to help us stay healthy, calm and balanced in our 21st century world. According to this ancient healing science, every living and non-living thing in the universe is made up of a combination of 5 basic elements—space, air, fire, water and earth. Our human body is also made up of these five elements in various compositions. They manifest in the human body as three basic constitutions or subtle energies known as doshas: vata, pitta and kapha. This is why everything outside of us can affect what goes on inside of us. We can be affected by the food we eat, the herbs or supplements we take, what we drink, the seasons of the year and the environment around us. Even the type of exercise we do and therapies we receive have a particular type of impact on our body, mind and emotions. Ayurveda shows us that natural elements, such as the warmth and light of the sun, the air we breathe and the mineral and plant substances we ingest, all have an immense therapeutic effect. When the 5 elements and the 3 doshas are in balance, we are able to function at our highest level as human beings. By understanding the positive and negative aspects of each element and dosha, we can design our life in such a way that we can live the life we want to—healthy, happy and fulfilled. No previous knowledge of Ayurveda is required. On this course you will learn daily approaches to diet and nutrition, lifestyle, restorative movement and relaxation, yoga for the doshas, skin care, body therapies and much much more. See the full course outline below for details. You will also receive a certificate in personal Dru Ayurveda Health and Nutrition, and 4 hours CPD per module. This course does not qualify you as an Ayurvedic practitioner. You may use the techniques you learn on it to care for your family. The beautiful Jamberoo Resort is surrounded by natural bush, backs on to the Minnamurra rainforest and is just 12 minutes from the coastal town of Kiama. Enjoy a complete ayurveda/yoga immersion and retreat experience by opting to stay onsite. Between sessions you can relax by taking a walk around the grounds. Expect to see local kookaburras and parrots and enjoy the sounds of nature at its best. There is one thing you certainly won't hear . . . . . traffic. You can pay your $450 deposit online using the button above right or alternatively please call the Dru office on (02) 6161 1462 to pay over the phone. These fees cover your tuition, morning and afternoon teas. You can stay on site at the Jamberoo Resort. Please book in directly with them. See Location details below. This course is filling quickly so please book soon to avoid disappointment! 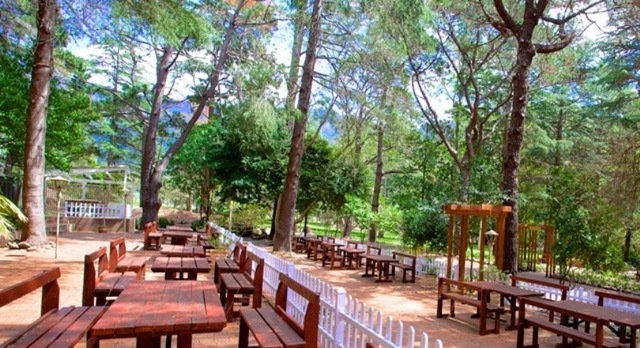 This great resort has 43 air conditioned king, twin and family rooms. Outdoor pool, BBQ area, tennis courts, restaurant and more. Your deposit and course fees cover Dru tuition, morning and afternoon teas. Course times are 9.30am to 5.30pm each day, with an hour for lunch. Our course will include yoga for the doshas, and lots of lifestyle activities so along with the usual yoga mat, yoga blanket, cushion, shawl, water bottle and notebook do bring comfy clothes and shoes for walking and yoga, swimwear, notebooks, journal, and all personal toiletries. 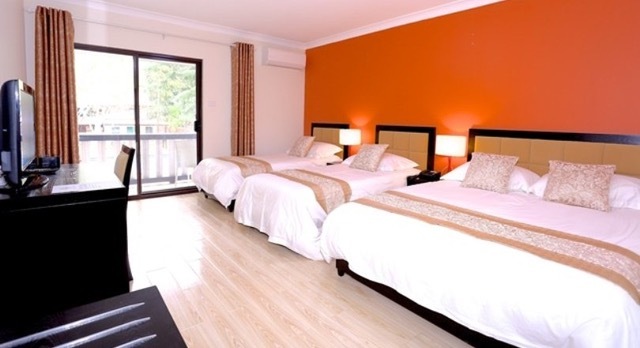 Remember to book you accommodation directly with the Jamberoo resort venue! Light morning and afternoon tea is provided; please BYO packed lunch or nearest shops are a short drive away.